Murder charges have officially been dropped against an Arizona woman who was convicted of killing her toddler son two-and-a-half decades ago. She has spent the past 22 years on death row. On Monday, Maricopa County Superior Court Judge Rosa Mroz formally dismissed the case against Debra Jean Milke, 51, less than a week after prosecutors lost their final bid at appealing the 2013 decision to overturn the murder conviction against the woman. 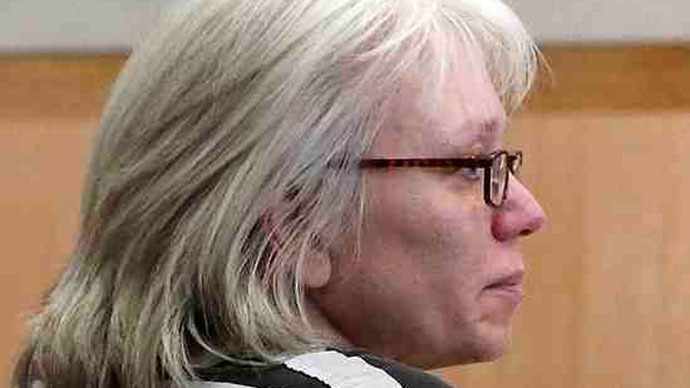 Milke was found guilty in 1990 of murdering her four-year-old son, Christopher, and sentenced to die. In March 2013, however, the United States Court of Appeals for the Ninth Circuit threw out that conviction after attorneys for the woman successfully argued that the original trial was flawed because it revolved around the testimony of a lead detective, Armando Saldate, Jr., who had since been linked to a history of lying under oath. "No civilized system of justice should have to depend on such flimsy evidence," the appeals court said in reversing the decision. Prosecutors had hoped to re-try Milke, but lost their final chance last week. According to the Associated Press, Judge Mroz on Monday officially dismissed the case. “To see her free today and totally free and exonerated, it’s an unbelievable feeling – just unbelievable,” Michael Kimerer, one of her attorneys, told AP. Judge Rosa Mroz has dismissed the case in State v Debra Milke. “She was innocent. It was all based upon a police officer that just totally lied,” Kimerer said. Nevertheless, Maricopa County Attorney Bill Montgomery told reporters last week that the decision not to try Milke again signaled "a dark day for Arizona's criminal justice system." Earlier this month, attorneys for the woman filed a lawsuit against Montgomery, the city of Phoenix, and several local law enforcement officers over their role in convicting and imprisoning Milke.